PREMIERE: August Alsina - "Sucka (DJ Sliink & Hoodboi & Trippy Turtle Remix)"
Now this is pretty damn phenomenal. For all of the hype regarding the Jersey club scene&apos;s emergence into the international dance music scene, especially when it comes down to giving Jersey credit, many heads just want to hear quality tracks. When we got word that DJ Sliink (who&apos;s known to many as the Jersey club king) linked up with Hoodboi and Trippy Turtle on a track, a grin was painted super wide on our faces. These were names that were properly affixed to the Jersey club scene in 2013, and kicking off 2014 with a collaborative remix of August Alsina&apos;s "Sucka?" Too amazing. All three of the artists shared all kinds of feels about this link-up. Sliink says that he&apos;s been a fan of Hoodboi&apos;s for a while (citing his "Blow Ya Back Out" remix as being particularly crazy), and they ended up finding themselves at the Mad Decent studio, laying down the beginnings of "Sucka." 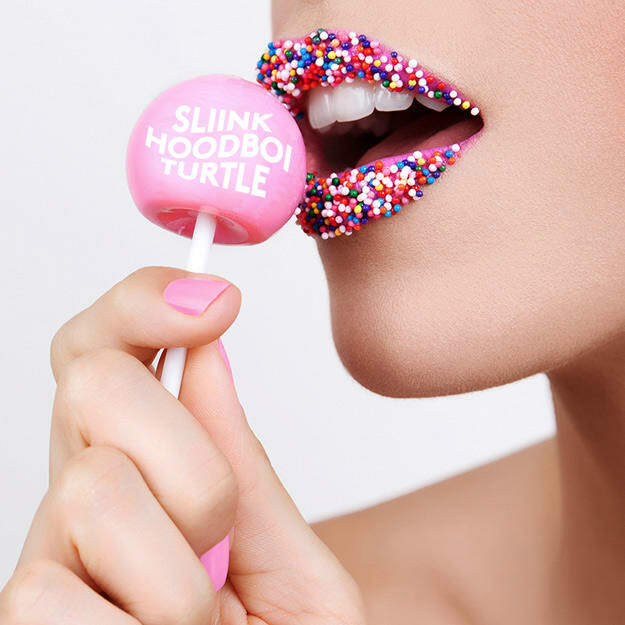 Hoodboi concurs, calling it an honor to work with Sliink and Trippy, two producers he considers influential to his output. With a similar approach and flipping samples, it made sense that these three should make this a collaboration of epic proportions, so they sent a message (in a bottle) to everyone&apos;s favorite club turtle, Trippy Turtle, who threw his own flavors on this cut, giving it the pizazz it needed to be this monstrous, club-rocking anthem.